A wise and frugal government, which shall leave men free to regulate their own pursuits of industry and improvement, and shall not take from the mouth of labor the bread it has earned - this is the sum of good government. 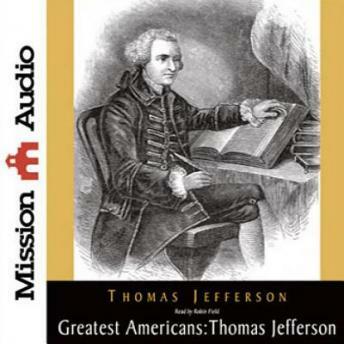 Thus reads the wisdom of Thomas Jefferson – author of the Declaration of Independence, third president of the United States, and a statesman who voiced the hopes of the new America with a passion unique to any other person of his era. As public official, historian and philosopher, he served his country for over five decades, shaping American history.